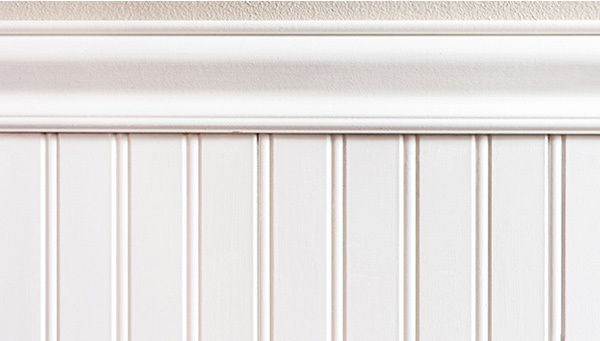 Homeowners have unlimited means of sprucing up their homes and many are choosing to do so with wainscoting. This staple of interior design is comprised of interlocking wood panels that span from the floor to about waist height. Typically constructed of wood or plastic, these panels provide a major impact at a relatively low cost. Entryways, formal dining rooms, and home offices are all very popular places for wainscoting, which provides an elegant yet classy aesthetic. Larger paneling is an excellent addition to the walls of a staircase, drawing from its original use in the 18th century as a form of insulation. When left to its raw wood form wainscoting exudes an ornate feeling that can be tailored with varying wood stains. Wainscoting looks best finished by chair rail trim when it’s in a formal setting. You will need the paneling itself, a level, primer, paint, caulk, a nail gun, and measurement tools. You can opt to have wainscoting professionally installed or accomplish it yourself as a brief weekend project. It is important to have the studs clearly marked on the wall so that the panels are anchored properly. Although these panels are relatively inexpensive, you might be surprised to learn their return on investment for your home value. Typical wainscoting projects offer 3-5x return on initial investment, if you are looking for a way to increase home value prior to listing this should be high on your list. The only challenge with installing wainscoting is selecting a specific panel style, the ASA Builders team is here to help. Contact us or stop by our showroom to learn more about the styles available and tips for a smooth installation.